Don’t let the moment pass you by without asking a few important questions. At 10:45 a.m. that Monday morning, we all stood up from our desks and walked quietly out of the classroom and down the hall to the playground. Outside, we stood on the blacktop and waited, a little nervously, holding our little strips of cardboard with pinholes poked in them. What we were about to see, Mr. Wimberly had told us, would probably occur only once in our lifetimes. 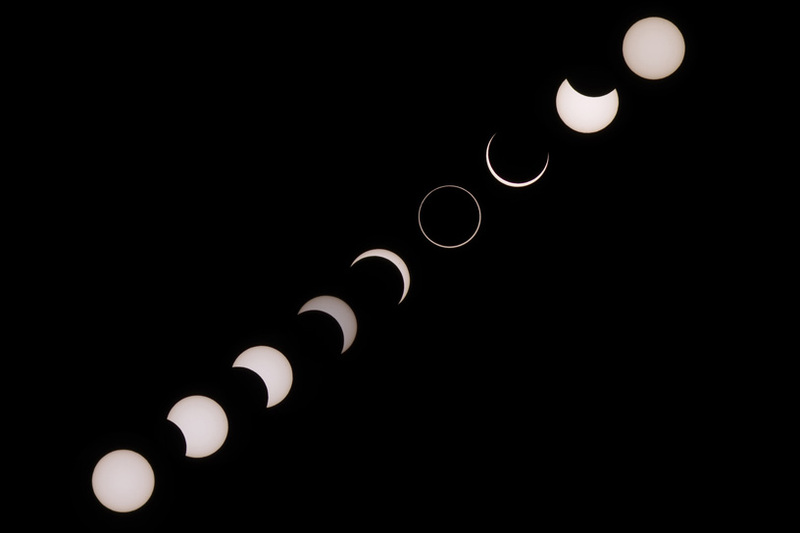 It was February 26, 1979, the last time a total solar eclipse occurred over the continental United States. The midmorning light was already dimmer than it should have been. It looked a bit like dusk was approaching, except the sun was exactly where it was supposed to be, high above, approaching its midday zenith. In Eastern New Mexico, we weren’t anywhere near the path of maximum eclipse. That was hundreds of miles away in a swath from the Northwestern U.S. to Eastern Canada. But we sixth-graders knew we could still experience a piece of something very rare. Our teacher kept warning us not to look directly at it. Most of us complied. So we stared at our pinhole papers instead. 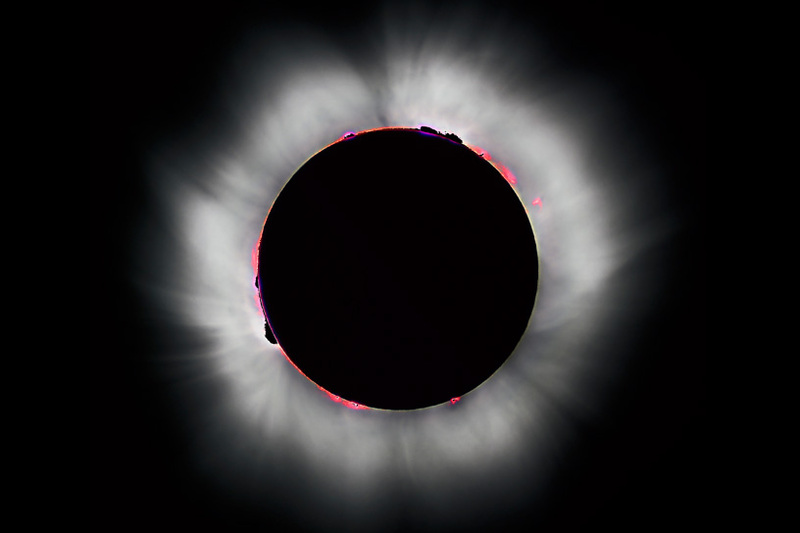 They were supposed to project a tiny image of the eclipse, showing the moon taking a steadily larger bite out of the sun’s circle. We quickly discovered the little contraptions didn’t work, so we stood still and waited for the light to change. It happened faster than I expected and it was fantastically eerie. Over about 20 minutes, the light transformed smoothly from a hazy white, to a milky yellow, to a dusky umber, and finally to a ghostly gray. Then, for a while, we were in another world. It was mesmerizing, unlike anything we’d ever seen, and a little scary. My friend Mike Bownds started humming the theme from The Twilight Zone. And while he did, we were all thinking the same thing. The cosmos is not supposed to behave like this. I walked home that day thinking about the universe a little differently, and that feeling has stuck with me. 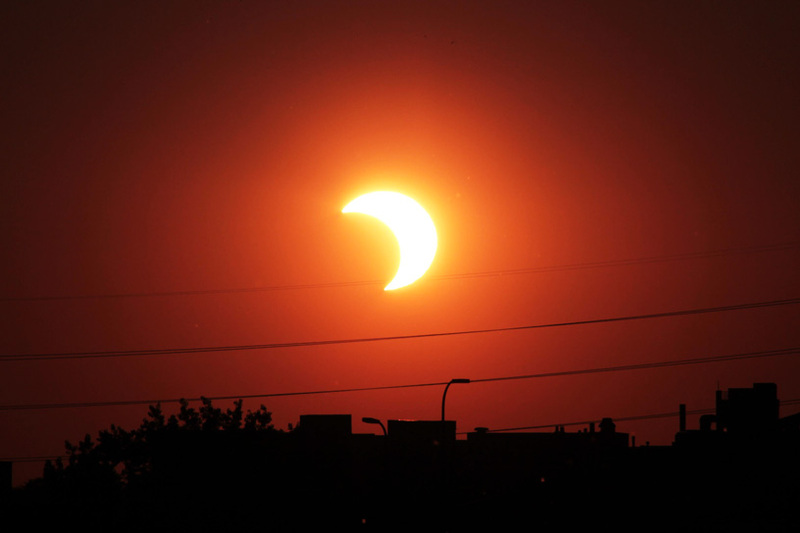 For millennia, humans have experienced eclipses as transcendent, once-in-a-lifetime, even terrifying events. If you’ve never seen one, I can tell you that your brain isn’t quite prepared for it. On Monday, you’ll see (and probably feel) things that are completely new. We all will. And that means that, for a few fleeting moments, we’ll have a unique opportunity. Growing up, I’d sometimes stand on my parents’ front porch and watch the sun go down. Hobbs, New Mexico, as far as small towns go, wasn’t much to look at, but the sunsets were amazing. And at the right time of year, you could clearly see the bright twinkle of Venus appear above the horizon just after sunset. As I’ve gotten older, I’ve started to ask different questions, ones that are a little tougher to answer. Like, what does it mean that there’s an incalculably large universe full of stars and planets? And that we’re a part of it? We all vaguely understand that we live on a planet spinning through space, that the moon is revolving around us, that the sun is (for all practical purposes) fixed in space, that the whole system somehow works perfectly to provide us with sunlight and seasons and nourishment. We’re unconscious of it most of the time, going about our lives as if the cosmos never changes. 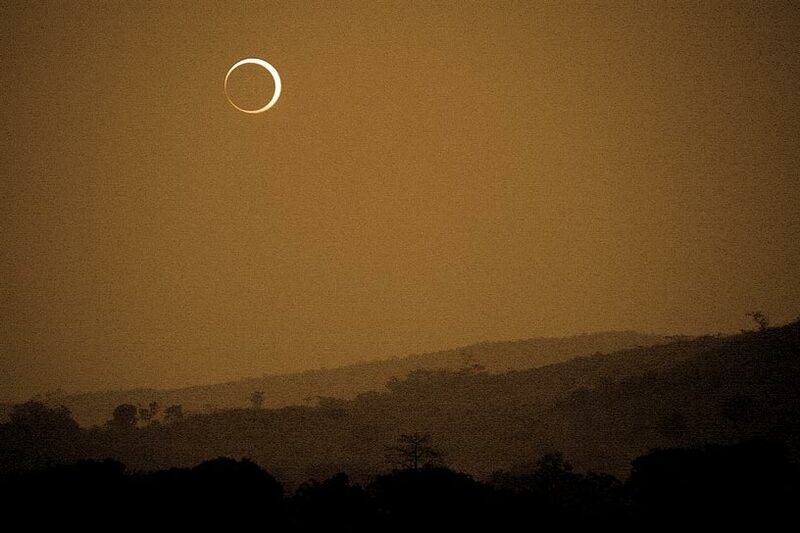 But it does change, and an eclipse is about to remind us of that. And if we’re paying attention, it will suddenly become quite clear that we’re a part of something much, much larger than ourselves, something so vast and complicated and unfathomable that we can barely hope to comprehend even a small part of it. Maybe it’s all just random, this universe. Maybe it’s just a freak accident of physics that we’re all here. Or maybe not. Maybe there’s something deeper behind it all, something we’re an integral part of. Something that creates stars and moons and humans, and then brings them all together to create an astounding moment of awe-inspiring beauty. What does it mean that the entire cosmos has conspired to create this miraculous moment – right here, right now – just for us? Wherever we Americans are on Monday, my guess is that nearly all of us will stop whatever we’re doing. We’ll put down our paperwork, our books, our tools. We’ll close our laptops. We’ll even put away our phones. We’ll walk outside, with coworkers, or family, or friends, or our kids. And together we’ll watch and wait. Then it will happen. And, just for a few moments, millions of us will be doing exactly the same thing at exactly the same time. Gathering together. Looking up. Opening our minds to something bigger than ourselves. Some of us will gasp and smile and hug each other. Some of us will laugh or even cry. We’ll struggle to put into words what we’re seeing. We’ll try and fail to capture it in pictures. And we’ll be grateful, if only for a few seconds, for this amazing world we are given to hold. For just a little while, we all will have this in common. We’ll all be connected. For this briefest of times, we will shed our fears, our prejudices, our politics, and our differences. We’ll look up as one. What does it mean for humanity that we all have the potential to act together – to be inspired – as one? If you wonder what that strange feeling is that’s coming over you during the eclipse, it’s called awe. I’ve written before about awe and the peak experiences it inspires. Awe is the rarest and most transcendent of human emotions, and it has a unique power to change you from the inside out. Awe can slow your perception time, make you more compassionate, increase your happiness, and connect you with others. It can temporarily strip away your consciousness, making you forget petty worries, placing you smack-dab in the middle of the current moment. When the eclipse happens on Monday, your yesterday and tomorrow won’t matter. Only the current moment will. And if you open up to these feelings, you’ll realize you’re not only living in the right-here-right-now, you’re changing for the better. But life isn’t made up of eclipses, is it? It’s made up of an infinite series of current moments. 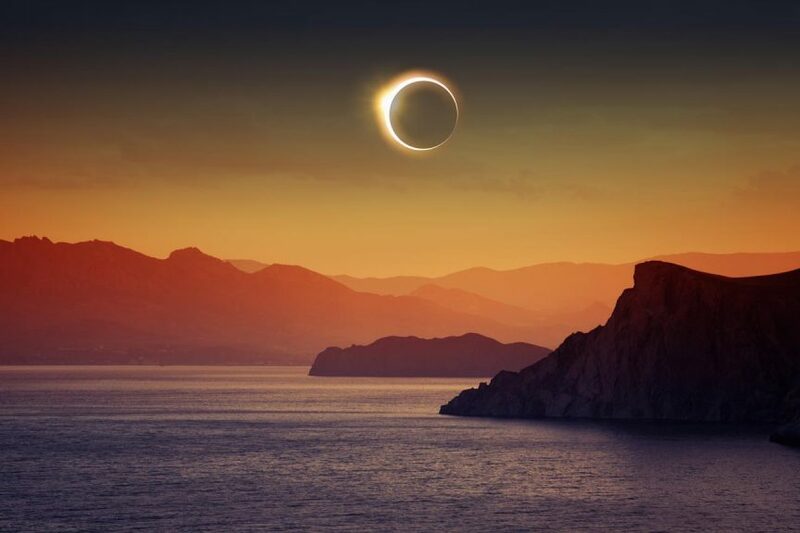 So I wonder…if you can feel this way during an eclipse, then maybe – just maybe – you have the ability to feel this way whenever you choose to pause, to be mindful of the present, to just be in the current moment. What does it mean that I can be transformed – become a better version of myself – by paying attention to this current moment?